Athletic events that necessitate cheerleaders begin almost immediately with the school year. Use the linked document and its recommendations to improve your try out performance. These are recommendations; not completing these workouts will not disqualify you from tryouts in August. 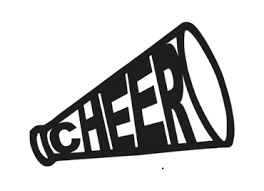 Also in August, HSI Cheer will have a parent and participant informational meeting in the first days of school. To try-out for the 2018-2019 HSI Cheer teams (middle and high school) parent and athlete MUST attend the informational meeting. Have an enjoyable and active summer! 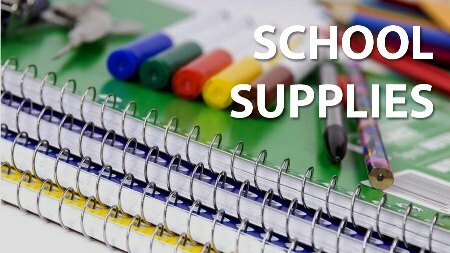 Here is the School Supply List for 2018-2019 school year. Find summer meals in your community this summer. No cost for kids 18 and younger. The HSI Cheer team would like to invite current and newly accepted students (grades 2-11) to participate in their summer clinic. Come and learn high school sideline cheers and a routine; improve your jumps and splits to better your skills. All are welcome to participate in this “just-for-fun” camp hosted by the HSI Cheer Team. Pick up a registration packet at the HSI front office. Register by Friday May18th and pay $75 for all three days. After May 18th the cost is $100 for all three days or $40 per day. Fees cover clinic expenses and raise funds for cheer expenditures in the 2018-2019 school year. We hope you’ll join us! Further questions? Please contact Ms. Bowler at abowler@harmonytx.org . Participation is encouraged but not mandatory to make the HSI Cheer team for the 2018-2019 school year. Absence from this clinic does not disqualify any party from joining next year’s team.